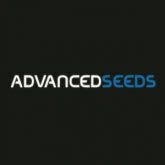 Advanced Seeds is a feminized marijuana seed bank and autoflowering. 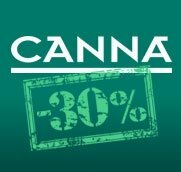 Within its catalog we find feminized marijuana seeds, indica, sativa and hybrids (besides procedetes crossing autoflowering varieties with rudelaris). Advanced Seeds produces all its seeds under organic farming methods. During cultivation, Advanced Seeds, uses only natural fertilizers and insecticides. The production is carried out under strict control in isolated rooms to ensure the identity of each of its varieties. 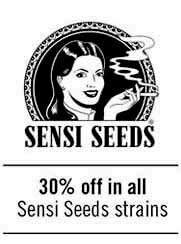 Advanced Seeds uses a completely safe to obtain feminized seeds, without resort to any form of genetic manipulation method. Advanced Seeds presents Skunk 47 seeds, the feminized version and non-autoflowering of her sister Auto Skunk 47. Skunk 47 is a quick flowering indica, born from the crossing Critical x Kaya 47, that gets the yields from its Critical side, and the intense fruity taste from Ak 47. Skunk 47 is an ideal genetic for all type of gardens, giving as a result a high THC cannabis, producer of large yields. 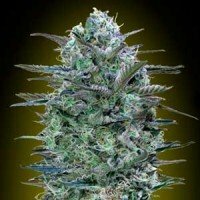 Critical Lemon seeds by Advanced Seeds seedbank is an amazing strainf or all growers, more experienced and less experienced. Critical Lemon is a heavy yielder plant, quick flowerer, and easy to grow, that will reward growers with top shelf quality flowers, being easy to trim, with great taste and citrus aroma. Critical Purple Kush seeds by Advanced Seeds seedbank are a heavy yielder hybrid, born from a crossing Critical x Purple OG. Critical Purple Kush is an indica strain, with a flowering period of 55 days, with a THC levels up to 18%, what guarantees a powerful and longlasting effect. Critical Purple Kush cannabis acquires purple colors in buds and leaves, with some individuals completelly turning to purple. Advanced Seeds Auto Critical Soma seeds are an autoflowering marijuana strain, born from a cross between Auto Skunk Mass and a Somango Auto. Auto Critical Soma cannabis will be ready to harvest in a maximum of 80 days from germination, with a medium to large yields of buds with sweet taste. 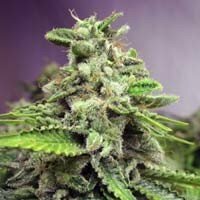 Advanced Seeds Auto Black Diesel marijuana strain has a sweet taste and flavour, that reminds to tangerine with lemon and grapefruit tones. Auto Black Diesel seeds can be grown along all year in warm climates, with yields up to 450 g/sqm indoors, and 50-80 grams per plant outdoors. Auto Black Diesel cannabis is a plants that usually developes a main cola surrounded by side-branches that bring nice buds too, what helps her get huge yields in a record time.